Fazoli’s operates a chain of restaurants serving authentic Italian-American cuisine. The restaurant chain offers tempting Italian dishes like Submarinos sandwiches, baked pasta, entrée salads & desserts with their signature garlic breadsticks. 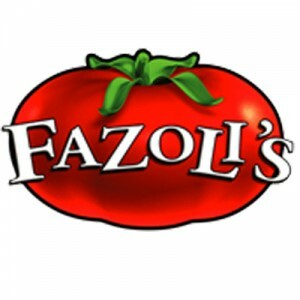 The company was established in 1988 by Jerrico Inc. and is now owned and managed by Seed Restaurant Group, Inc. Fazoli’s corporate office is in Lexington, Kentucky. The company has over 200 restaurants located nationwide and they’re hoping to grow further and expand overseas. It plans to have restaurants in UAE, Saudi Arabia, Qatar, Kuwait, Oman, and Bahrain. Carl Howard is the company’s current CEO and president. Similar to other US-based restaurant chains, this Italian restaurant provides a variety of work benefits. These include dental, medical, and vision insurance for qualified associates. Other work benefits offered are disability and life insurances, vacation, sick, or holiday pay, and 401(k) retirement plans. Most Fazoli’s employees share good things about their stay with the company. Many of them talk about having an enjoyable experience in working for the company. Aside from good pay and work benefits, the company offers flexible work schedules suitable for working students. Applicants will need to be at least 16 years old to qualify for the entry-level positions offered by the company. Likewise, they should also have college or high school diploma. Experience is an advantage, but not required for some positions. Restaurant Team Members: Restaurant team members are in charge for guaranteeing customer satisfaction. Their job may involve tasks like preparing drinks, restocking supplies, greeting and serving the guests, and taking food orders. They also maintain the entire food service areas clean and presentable. Restaurant team members must demonstrate stamina, dexterity, customer focus, and attention to detail. Shift Leaders: They keep the everyday operations of a business flowing smoothly. They are much like the assistant managers because they handle administrative tasks. Shift leaders report to restaurant managers and act as the frontline extension of managers’ authority. They ensure that workers are present and the job is completed efficiently. Cashiers: Restaurant cashiers manage sales and cash transactions in wide dining facilities. Their duties include enhancing customer satisfaction, promoting the services offered, responding to inquiries, greeting customers, and reporting to restaurant managers. Cashiers should demonstrate numerical skills, courtesy, attention to details, customer service and teamwork. Cook: A restaurant cook prepares the meals for guests, but he’s not limited to cooking, however. He often does prep work, cleans the kitchen, orders kitchen supplies, and manages other employees like servers. A restaurant cook may also coach or mentor new employees, and acts as the lead person inside the kitchen. Food Delivery Drivers: Food delivery drivers transport the food items from the production areas to clients. Their duties typically include loading the foods, transporting them to their destination, and ensuring that food safety guidelines are respected. They collect payments and report any car mechanical issues. They are expected to observe safe driving, open communication, customer service, teamwork, and time management. Field Coordinator: A field coordinator supervises the restaurant’s field service activities. She provides general support, performs on-site services, coordinates field workers, and liaising with customers. Also, she takes part in organization meetings, manages logistics, and buys goods. To be efficient at work, a field coordinator must have essential skills like planning, organization, leadership, decision-making, and flexibility. Restaurant Managers: Restaurant managers accomplish the company’s human resource goals by recruiting, orienting, training, coaching, and disciplining employees. They communicate job expectations, plan, monitor, appraise, and review job contributions. Likewise, they meet the restaurant’s financial goals by predicting the requirements, preparing a yearly budget, scheduling all expenditures, evaluating discrepancies, and initiating counteractive actions. Assistant Managers: Generally, assistant managers help the restaurant managers keep a restaurant running smoothly through accepting some administrative tasks. These include managing entry-level employees and giving customer service. Assistant managers schedule employee work hours, resolve customer complaints and ensure payroll accuracy. They may also help in recruiting new employees by selecting applicants with the greatest potential. Restaurant General Managers: General managers deliver profits and revenues by financing, marketing, developing, and giving good restaurant service. They supervise the restaurant managers and their group members. They establish the business plan by monitoring restaurant demand, conferring with everybody in the community, and recognizing and assessing competitors. They attract guests by creating and implementing advertising, community and public relations programs. Assistant General Managers: Assistant general managers help general managers in supervising restaurant operations daily to ensure a safe, positive, and lucrative work environment. They order, buy, and stock products in a timely way, and implement productivity and quality objectives to attain company objectives. Likewise, assistant general managers ensure that workers follow the company policies, standards, and strategies. Interested applicants would be able to visit their website and view the restaurant chain’s latest job openings through the careers page. Vacancies are often available for part-time and full-time employees. Applying in person is also possible, but the company often searches for qualified candidates online. The process begins with getting access to the application form, which includes questions about an applicant’s educational background, personality traits, and work history. When filling out the application, applicants must ensure that all blank fields are answered. The hiring form requests them to give at least three references. Completing it may take 30 up to minutes. Furthermore, candidates are requested to submit resumes. The company is expecting to receive updated resumes with accurate and comprehensive details. Resumes must have applicants’ active telephone number and email address. When invited for the interview, candidates should dress appropriately and stay courteous during in-person interactions with hiring managers. Interviewers usually ask for past examples of customer service experience and expect answers showing proficient interpersonal skills & social awareness. The company’s culture is more on working together and treating each employee as a family. It’s a good place to work for working students. Each employee is guided to grow and advance, and all staff members are caring and friendly. 2017 was a great year for Fazoli’s. Last January 2018, the company announced that it got a boost in foot traffic and same-store sales. It also signed 6 new development arrangements for new restaurants in many different states. Fazoli’s gained popularity with its tasty garlic breadsticks. It’s a complimentary treat for all guests. Customers can have more garlic breadsticks when they eat in. Also, it offers other menu items like oven-baked and specialty pasta, pizza, and salads. The company’s “Pasta with a Purpose” is a charity program that offers support to Feed the Children, their charitable partner. Funds raised are for community events held in different cities. The company feeds the hungry and offers support for families. 1 How old do you have to be to work at Fazoli’s?